Here is a peak into my closet. Well, sort of. 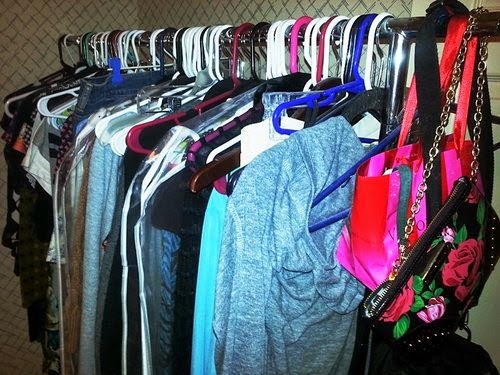 I currently have to use rolling clothes racks, due to spacial issues. I can tell a dude totally designed the closet in my bedroom, because it is so freakin small! 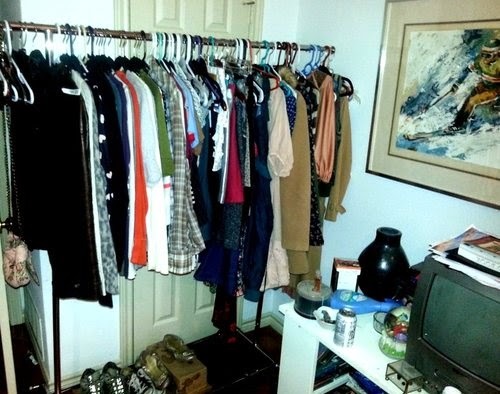 No joke, it is basically the size of a coat closet. You can see the door to it in the first photo.